A little rain didn’t stop one group of volunteers, community partners and DeKalb County School District (DCSD) staff from aiding their community. The new Early Learning Center at Terry Mill—located at the former Terry Mill Elementary at 797 Fayetteville Road in Atlanta—celebrated its partnership with the Atlanta Community Food Bank by hosting a food pantry event on the afternoon of October 25. Once per month, the Early Learning Center expects to provide one large entrée, multiple canned goods, snacks, cooking ingredients, produce, and more. The food items—which arrive at the facility by the pallet—come courtesy of the Atlanta Community Food Bank. 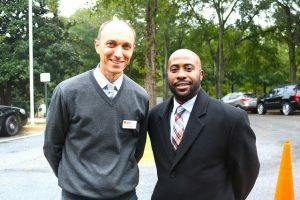 According to Early Learning Center director Dr. Zack Phillips, this partnership is the first of many steps in transforming the new facility into a “community school,” or a school that holistically serves the community in all facets. 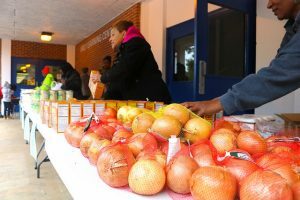 Phillips said the Atlanta Community Food Bank will bring in new foods each month to keep the menu fresh and the community well-accommodated. He said the food provided can last anywhere from one weekend to one full school week. 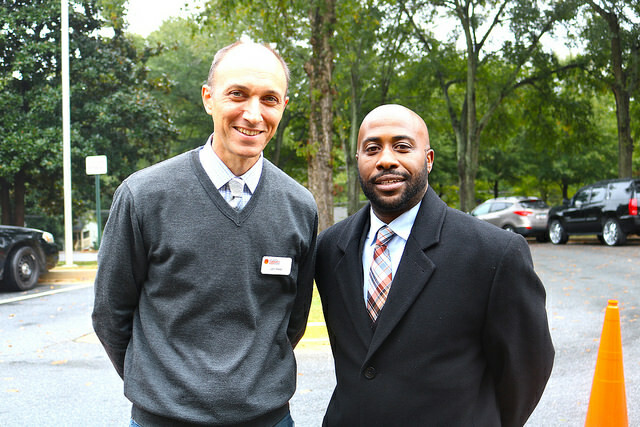 The food pantry initiative garnered strong support from the Early Learning Center parent community. The majority of volunteers on October 25 came from the parent community, and many stayed until well past 3 p.m. to ensure anyone in need was taken care of. According to Phillips, benefits from similar programs can be seen almost immediately. Jon West with the Atlanta Community Food Bank said the Early Learning Center is the first early childhood education facility the organization has worked with. According to Phillips, The Early Learning Center at Terry Mill is in the process of creating even more community partnerships. The center is in talks with DeKalb County Health Department as well as the Division of Family & Children Services to offer even more services for community families.